This just in! Read AFA's interview with the late novelist Elmore Leonard about his years writing screenplays for educational filmmaker Bill Deneen. The mission of The Academic Film Archive of North America is to acquire, preserve, document, and promote academic film by providing an archive, resource, and forum for continuing scholarly advancement and public exhibition. We're the only institution in the U.S. dedicated to documenting the history of this endangered film genre. We also document and archive historically important films not specifically in the academic genre, including anthropological, ethnographic, and medical subjects. We engage in a number of special research projects, and invite you to help us to save films and provide free access to them on the Internet Archive, by nominating a film and making a donation to fund uploading it. We're a 501(c)(3) nonprofit public benefit organization, and we welcome your donations. What is "academic film"? Of the more than 100,000 educational films made in North America between the early 1900s and approximately 1985, many of the finest were in the subject fields of art, history, social science, literature, and science. These we refer to as academic film, as opposed to those made in health, safety, civics, and other non-academic educational subject areas. Further definition of the Academic film genre can be found here. Why is academic film important? With the launching of Sputnik in late 1957, millions of dollars in federal funds soon became available to academic film companies, as government and education officials desperately raced to bring American students to an academic level above that of their Soviet counterparts. Federal funds flowing to academic filmmakers via film companies represented the greatest governmental largesse ever bestowed on makers of non-feature films. In a capitalist country, it was very nearly socialist. Many of the films are exceptional cinema, made by filmmakers who, primarily for financial reasons, elected to make 16mm academic films, rather chancing the vicissitudes of Hollywood. This is truly the hidden corner of North American cinema, and you've arrived at the only website dedicated to the history and preservation of these films, and the biographies and filmographies of their director/producers. Want to save a film by sponsoring a film for digitization and uploading? It's easy, inexpensive, and tax deductable. Click on our Save A Film page. to provide a portal for those wishing to sponsor digitizing and uploading selected AFA films to our collection space at the Internet Archive for free viewing. To sponsor a film, visit Save A Film. To view our already-uploaded films, visit our collection space. to describe and document the importance of saving 16mm academic films from destruction and loss. Many of these important film prints are being discarded by film libraries. The content of a vast number of these films is in danger of being, or already has been lost, as they were not re-released in later (e.g. VHS or DVD) formats. Our Save a Film initiative is one program we have implemented to remedy this. to introduce our publications. 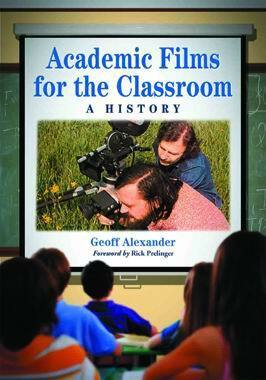 AFA director Geoff Alexander published his first book on the subject of academic classroom film in 2011, and another will be coming out in 2014.
to provide historical data to researchers specializing in the academic film. We have archived filmnotes to over 500 programs, comprising more than 2,000 films, in the Chronology and Filmnotes of past AFA shows to serve as a source for historians looking for data on various films. In addition to researching the history and trends of the North American classroom academic film, we have short biographies and filmographies on some of the more important filmmakers specializing in the classroom academic film, and are looking for a number of missing filmmakers, too. Can you help us find them?. We are currently researching the history of Encyclopaedia Britannica's foreign-language instruction films of the early 1960s. Check out our Lost & Found FilmKids page to see what young actors from early academic films are doing now. to assist individuals and organizations to preserve and show academic films in their own geographical locations. Are you interested in starting an alternative public cinema in your own town? Start Your Own Cinema gives you a few ideas you may find helpful, as well as important data on film preservation and 16mm film stock. Study Guides for academic films: We have catalogued and archived hundreds of paper study guides that were included when films were originally purchased. Typically between one and fifteen pages long, they provide synopses of the films as well as teaching aids for instructors. We are the only archive actively cataloguing this material. Interested in a study guide for a given film? We'll email you a PDF of its study guide --- if we have it --- for $15. Contact us for more information. PSSC films digitization and uploading project: The physics films made under the auspices of the Physical Science Study Committee (PSSC) in the late 1950s and early 1960s are considered landmarks in the genre of the classroom science academic film. We are in the process of digitizing and uploading as many of them as sponsorships allow. Click on the PSSC page to view what we've done so far and to se how you can help us to digitize more of them. Special Projects The AFA engages in occasional special projects beyond the immediate scope of the archive. We were the first institution in the Western world to research and document aspects of Morlam video CDs from the Isaan area of Thailand. 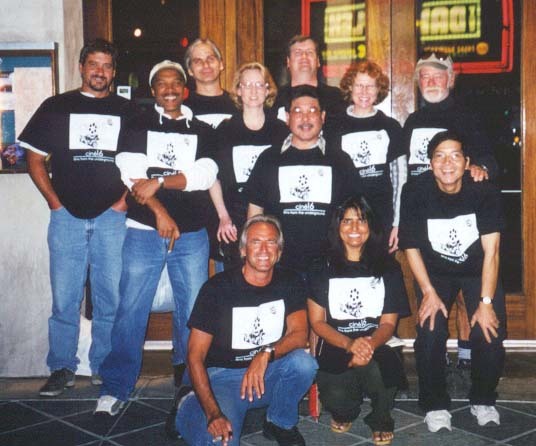 We are also compiling a history of radio station KTAO, which was developed by Lorenzo Milam in the town of Los Gatos, CA in the early 1970s. We still have a limited number of our Gene Deitch-designed T-shirts available, too. Read Michael Fox's interview with AFA director Geoff Alexander about his book Academic Films for the Classroom: A History.